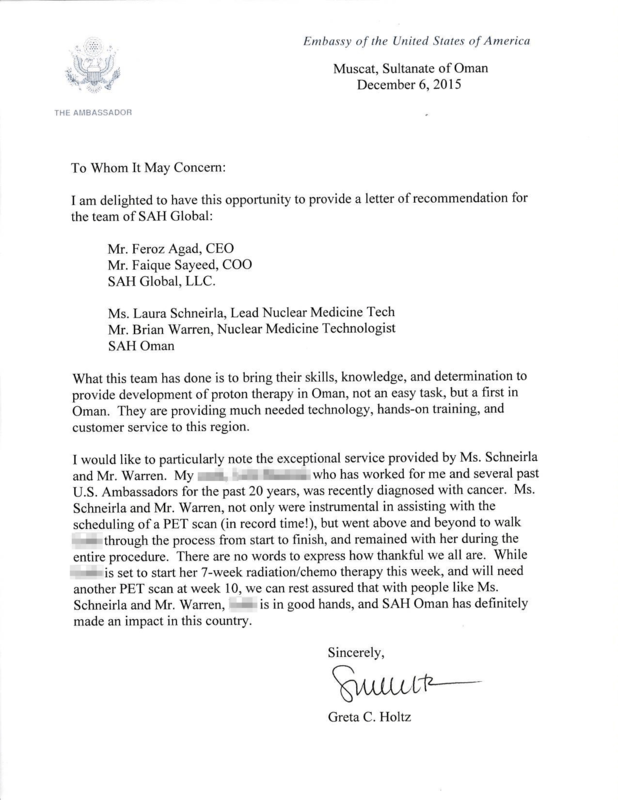 SAH Global is dedicated to expanding the availability of advanced technologies like PET, and advanced cancer treatments such as proton therapy, in Oman and throughout the Middle East and North Africa . It is only through research, advanced knowledge and advanced medical practice that the global clinical community can improve patient outcomes and win the battle against cancer. SAH Global strives to provide the technology and treatments they need to achieve these goals.